Advanced Mobile Care is an app designed to improve the overall usability of your mobile device. This app is great for those who have difficulty keeping up with their phone. It is also great for those who are tired of juggling separate security and performance enhancing apps. The overall function of this app is to enhance your Android experience. It does this my providing useful tools to make you work faster and feel more secure while using your device. Advanced Mobile Care might seem familiar to those who have used IOBit’s software in the past. They have been known for making fantastic performance and security solutions for PC’s, and now they have ported their award-winning system to Android. It features a full-fledged anti-virus scanner. While not entirely necessary, Android malware is becoming increasingly more popular. 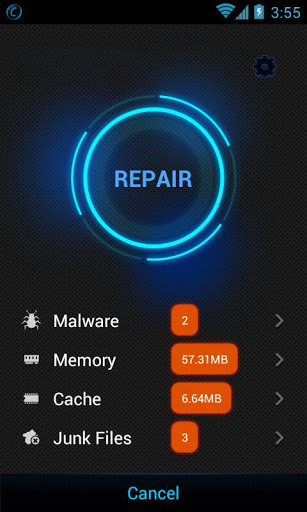 This app will also provide basic system tuneups like ending tasks and deleting cache and junk files. However, some of these files and tasks are automatically generated. 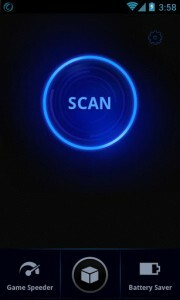 This means that you can run a scan, delete everything, and then have them show up on your next scan again. You will also get a Game Speeder that will automatically add and speed up your games when launched from the application. Combine this with a battery saver, app manager, and privacy locker, and you have yourself a fantastically functioning app. There a couple things you have ti be careful about when using this app. For starters, the app generally doesn’t function properly on low end phones. There are several reports of the scanning process taking much , longer than normal on phones with lower specs. Additionally, this app could potentially change your browsing experience. This is because the app deletes your cache if you want it to. This could keep you from staying automatically logged in on some websites. Generally speaking, this app is fantastic. It uses an incredibly sleek interface that feels right at home with Ice Cream Sandwich and Jelly Bean. The overall usability of the app is so easy that any person., regardless of tech knowledge can use it. While there are some aspects to be careful about, the majority of users will find this app to be very helpful in optimizing their devices.